Bring coffee and/or muffins to your teacher today to brighten their day. As always, Monday’s are rough in our house! So we were running late, and swung into the gas station for some treats! 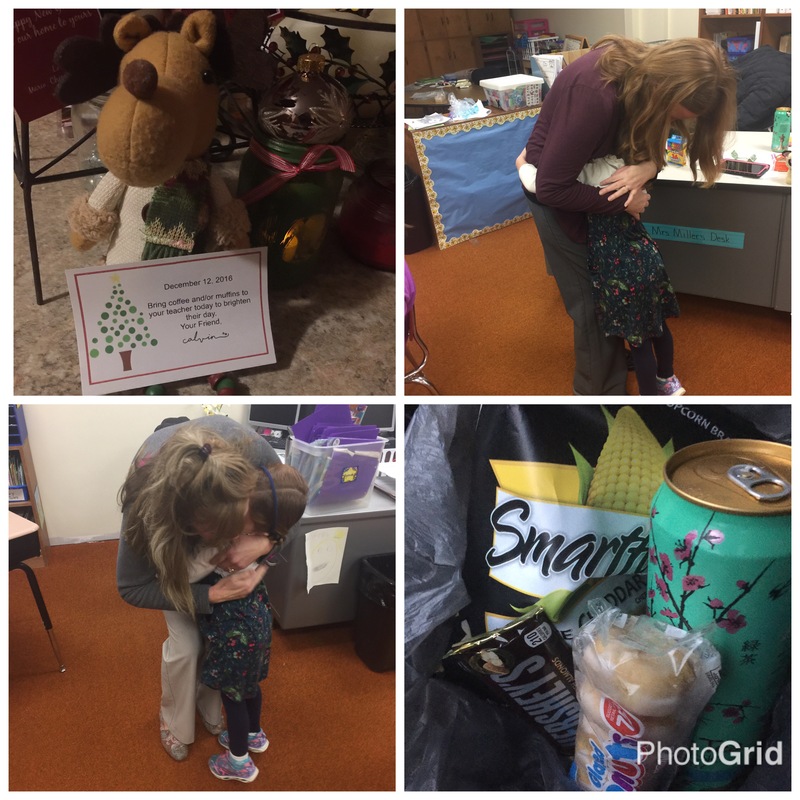 We know our teachers favorite things, so we were able to get some of their favorite snacks to make their Monday better!